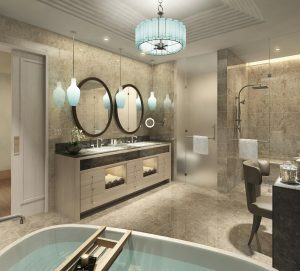 The name Ritz-Carlton is synonymous with comfort and luxury and now you can own a little piece of Ritz-Carlton luxury. 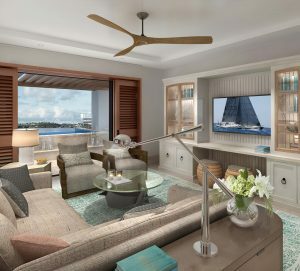 Welcome to the Cove, a Ritz-Carlton Reserve Residence in Caroline Bay, Bermuda; cultivating an air of “approachable luxury” for families who crave moments both rare and unforgettable. 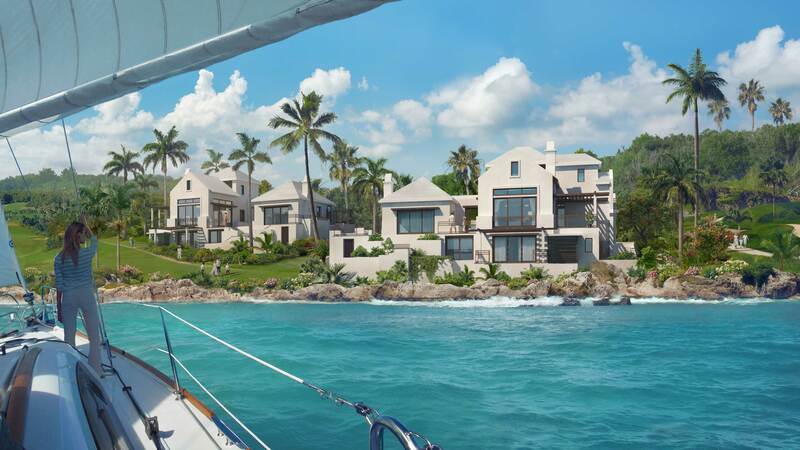 At Caroline Bay, Bermuda, one of the world’s most exclusive resort communities, these ultra-luxurious homes are surrounded by pink sand beaches and serene, turquoise waters. Caroline Bay offers 182 acres of escape and excitement, found in water sports ranging from yachting to flyboarding and legendary golf at nearby Port Royal Golf Club, as well as world-class shopping and dining. All of which can now be yours to enjoy. As a resident of The Cove, you will also enjoy privileged access to every amenity of the upcoming Ritz-Carlton Reserve resort. From children’s activities to fine dining and couples’ massages, the resort promises the best aspects of home and getaway. Bermuda’s captivating mix of British and West Indian influences makes for a truly unforgettable experience. It’s a culture that carefully preserves its past while living joyously in the moment. 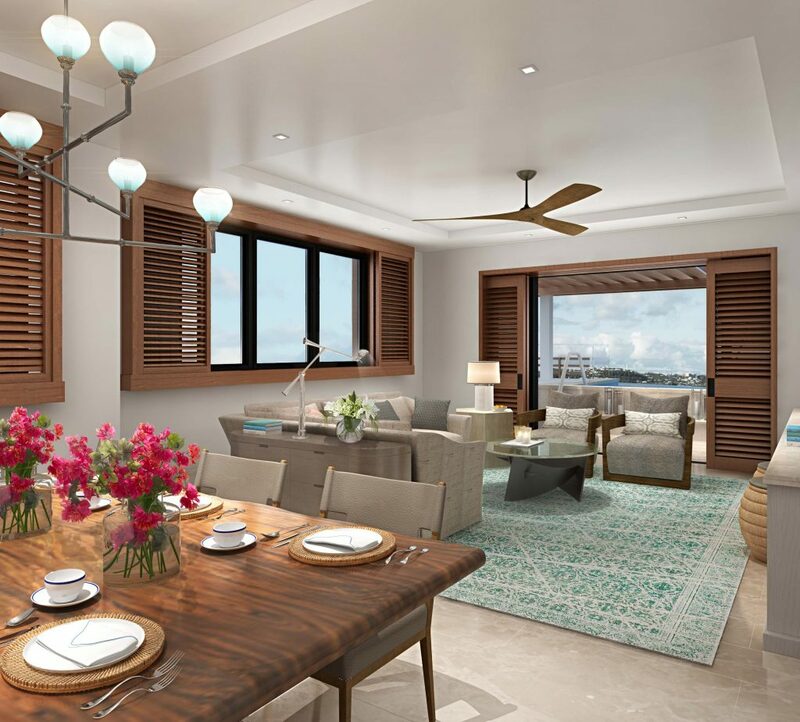 Residences at The Cove honor the island’s British Colonial heritage, but with relaxed, contemporary feel. Crisp white exteriors, traditional stepped roofs and natural wood balconies complement interiors designed with the modern family in mind. Open floor plans flow from kitchen to dining, from indoors to out, creating a seamless setting from which to take in the salt-kissed air, calm waters and pristine beaches. The residences include four-story buildings with two to four-bedroom plans, ranging from 1,939 to 3,174 square feet. Expansive sliding glass doors and abundant natural light and private outdoor living spaces featuring plunge pools or outdoor kitchens set the stage for unforgettable family memories. The penthouse residence offers even more freedom for larger families or those that prefer more space. It features a grand entry hall with sightlines to the terrace, a four-person kitchen island, generous living room and a terrace that spans the entire length of the home. 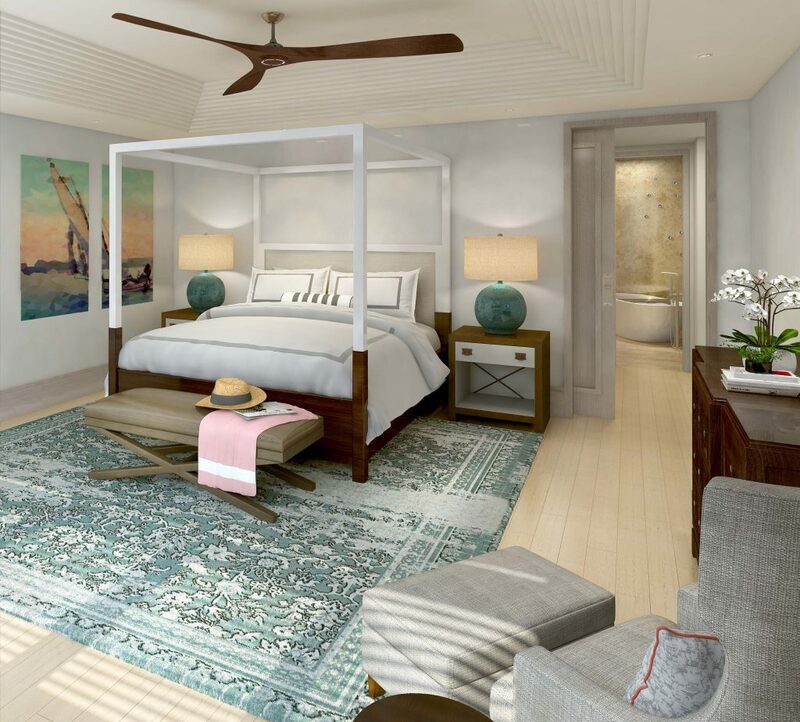 Two master suites and a third bedroom ensure everyone’s comfort, while abundant storage and a large fourth room can serve as an office or fourth bedroom to accommodate every family’s needs. 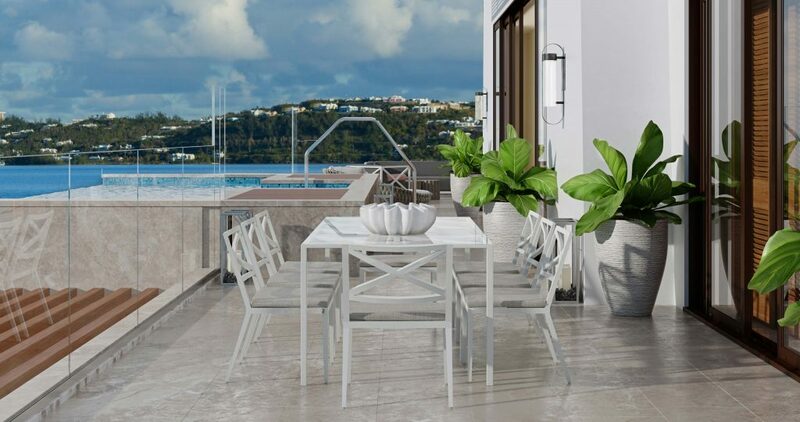 At The Cove, the easy, relaxed lifestyle of Bermuda has been translated into a design scheme of simple functionality and elegance. 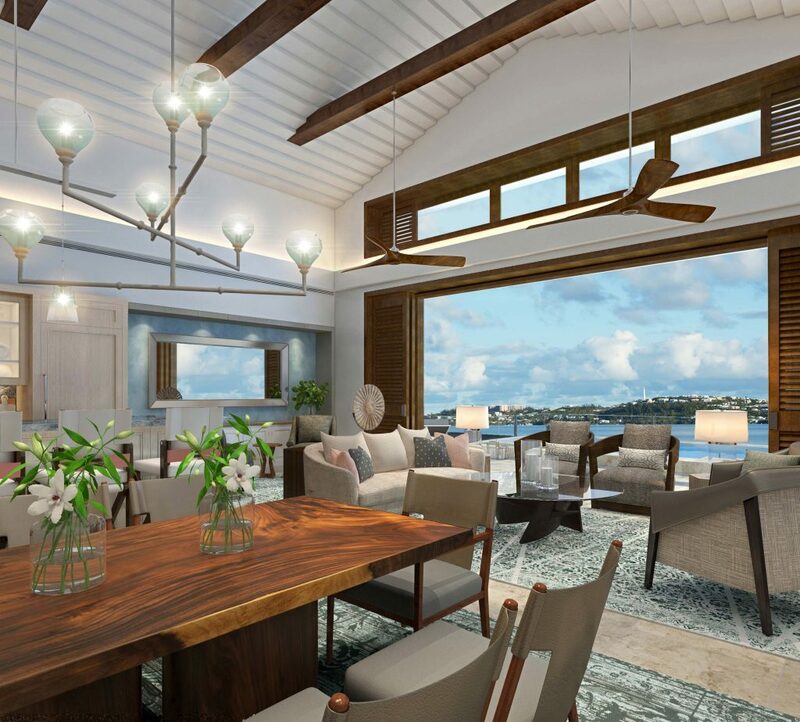 Meticulously curated elements celebrate the best of Bermuda — historically, regionally and stylistically — while providing highly livable gathering spaces. Deep woods, subtle textures and fine detailing create an atmosphere of calm and sophistication. Jewel-like splashes of color echo the sea and sky outside and clean architectural gestures frame dramatic ocean views.In classic Bermuda style, the residences feature louvered shutter doors and windows, decorative glass light fixtures, luxurious custom furnishings, stone tile and solid-wood planked floors, and your choice of two interior design schemes from world-renowned interior design firm, Hersh Bedner & Associates. The kitchen is a place to connect – whether preparing a family meal or entertaining guests. And with chef-worthy appliances, generous islands and beautiful finishes, this kitchen is sure to become the heart of your home life. 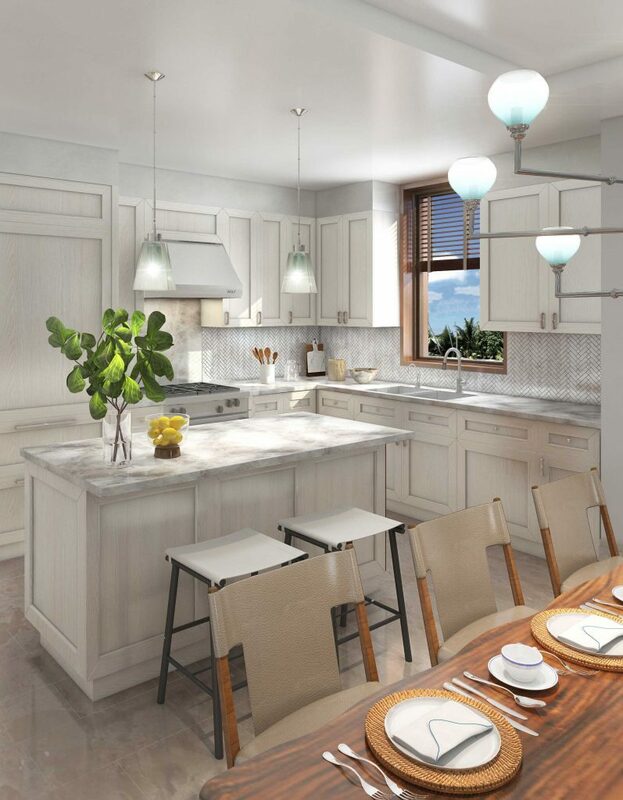 Luxe features like dual-temperature wine storage and custom cabinetry and pull-down kitchen faucets are the perfect finishing touches to these sophisticated yet functional kitchens. The master bedroom is a true retreat, with large bathroom, walk-in closet and expansive sliding glass doors opening to the patio — and to refreshing sea breezes. Separated by spacious living and dining areas, the second bedroom offers equal escape with its own sitting area and terrace. The bedrooms offer privacy and togetherness in perfect balance. 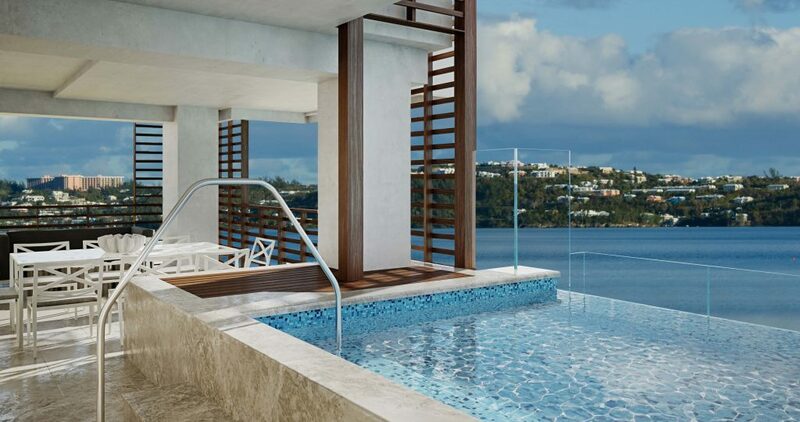 With the Bermuda shoreline as the backdrop, terraces are sure to become every family’s favorite gathering place. 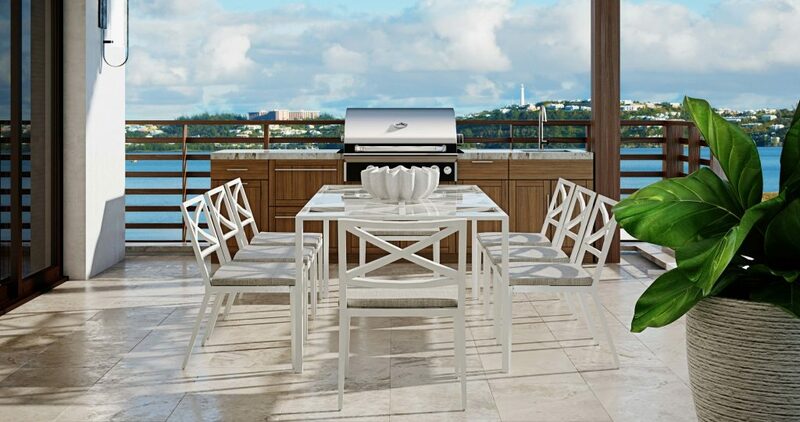 Let your outdoor space reflect your entertaining style. For the gourmand, choose a gleaming, professional-quality outdoor kitchen. Or opt for a plunge pool for cooling dips and more active, family fun. Terraces are also equipped with inviting daybeds or lounge chairs. Ritz-Carlton Reserve Residences are found in only a handful of the world’s most extraordinary destinations. 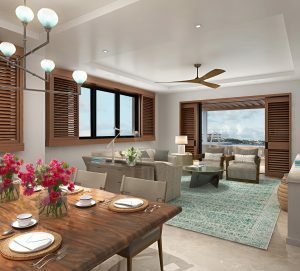 But now, families can soak up the island’s unique culture and beauty in this wholly new way – with residences unrivaled in luxury and comfort, surrounded by opportunities for adventure, and supported with the ultimate, personalized service and resort amenities that only Ritz-Carlton Reserve can bring. Be among the first to call The Cove, a Ritz-Carlton Reserve Residence, home. And let the memories begin. For more information on home ownership at Caroline Bay, contact: Sandra Christensen sandra@carolinebayrealty.com.